"Professional Mobile and Wedding DJ"
Based in Enfield with a career spanning over 30 years, I pride myself in excellent customer service. I work closely with my clients throughout to help ensure I play the music you want to hear. It is my mission to exceed your expectations in all aspects of communication and entertainment by applying a professional and personal approach to your event. I will strive to display my reliability, integrity and experience by going the extra mile for you, to help create events that make memories. I specialise in: Birthday parties 18th - 21st - 30th - 40th - 50th, Anniversaries 25th - 50th, Weddings, Engagements, Corporate Parties, Office Parties, Christmas Parties, New Year's Eve Parties, Pubs and Clubs, events from 40 guests upwards. No event is too big. 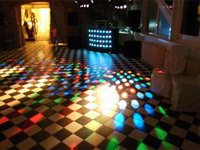 I provide a professional Wedding Disco experience with professional grade lighting and sound systems. I am dedicated to helping make your wedding day extra special by providing a friendly, highly experienced wedding DJ and professional mobile disco. I want to exceed your expectations. It is unlikely that any other vendor could affect your reception as much as the entertainment. For the most important day in your life, don't settle for 'make do' - remember your wedding DJ provides the real life soundtrack for your wedding. Required by many venues, DJ Andy Disco has a current PLI policy with DJGuard / in the amount of £2 million. 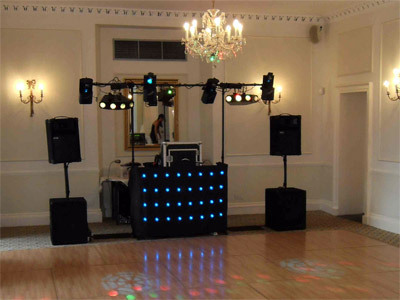 Also required by many venues, DJ Andy Disco has supplied satisfactory evidence of holding current PAT inspections of their equipment dated within the last 12 months. A Method Statement outlining DJ Andy Disco&apos;s Health & Safety procedure for setting up disco equipment has been provided. DJ Andy Disco has provided Risk Assessments undertaken at events sourced via needadisco.com, indicating that they can undertake these competently. Why do people choose to book DJ Andy Disco? The DJ has possitive feedbacks and good prices. sounded very professional in his email and stated to have lots of experience. Offered a reasonable priced quote and got back to me quickly. "Very well mannered DJ, who got on with the job in a professional manner. Played the right era music throughout. Arrived and left with minimum fuss. I would recommend him." "Thank you for allowing me to be a part of your evening." "friendly man. presented the night well and happy to do request from people." "Thank you for your feedback. I am glad everyone enjoyed the evening"
"Andy played a good variety of music and everyone enjoyed the party. He is reliable and was easy to contact to confirm details etc. I would highly recommend him to others." "thank you for your feedback and allowing me to be a part of your celebrations"
"From first contact with DJ Andy we knew we had made the right choice due to his professionalism, interest in our likes & dislikes and friendly attentiveness to our guests requests. He played as much from our extensive & eclectic playlist. Would definitely book DJ Andy again." "thank you for your feedback and allowing me to be a part of the celebrations"
"I have no hesitation in recommending Andy to take care of your musical needs for your event. He listens to what you require, puts forward experienced ideas for you to consider and on the night obviously takes in the range of ages and plays music across the genres, Unless you've particularly asked him not to play certain types. He gives you the opportunity to list favourite songs and fits them in accordingly. You couldn't ask for a nicer bloke to entertain your guests on the music/dance front." "Great service from Andy would 100% use again and recomende"
"Thank you for your feedback. I look forward to the next party." "We all had a great party thanks Andy!" "I am happy everyone enjoyed the evening"
"Would have no hesitation in recommending DJ Andy to friends & family. The music was everything I asked for and all the guests had a great time and all enjoyed the music. Andy was polite and courteous and kept me informed of his arrival on the day, which was exactly when he said it would be. All in all a great experience and I can;t thank him enough." "Andy was very good, set up and was ready with no fuss. very friendly manner and would definitely recommend." "We booked Andy for my wifes 40th. Prior to the event Andy answered all my questions and he filled me with confidence that he knew what he was doing. We gave a complete/concise playlist and on the night Andy was brilliant!! We all had a great time and weeks after the event people were still saying what a great party it was. Andy was a big part of the good time had by all. I would definitely recommend Andy to my friends." "Thank you for your feedback. I look forward to your next party." "Great DJ. Great music. Professional and friendly. Thanks Andy!" If you are contacting DJ Andy Disco about an event, it's always a good idea to include the DATE, LOCATION, EVENT TYPE, AGE GROUP and TIMINGS to speed things up!